I really don't want to give this dress back to Katrina. Just look at it--tiny little Swiss dots, sweetheart illusion neckline, fitted bodice, and a full skirt. It's so adorable! I wore it with my straw boater hat, a wide belt, a leather satchel, floral wedges. I wish I could tell you the brand, but I couldn't quite read the label. All I know is that she got it at her mall and that it's a Korean brand. I hope I can find a similar one like it. Katrina styled the dress with a classic trench coat for what looks like a bit of a cold day. I spy cute Le Bunny Bleu ballets flats and her awesome Jump From Paper cartoon-y travel-inspired bag. I'm forever amused by Jump from Paper's bags! 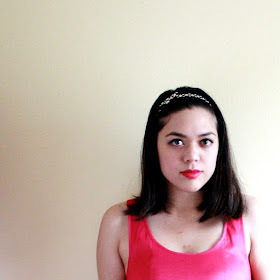 Don't forget to check out her blog for more photos and details about her outfit. 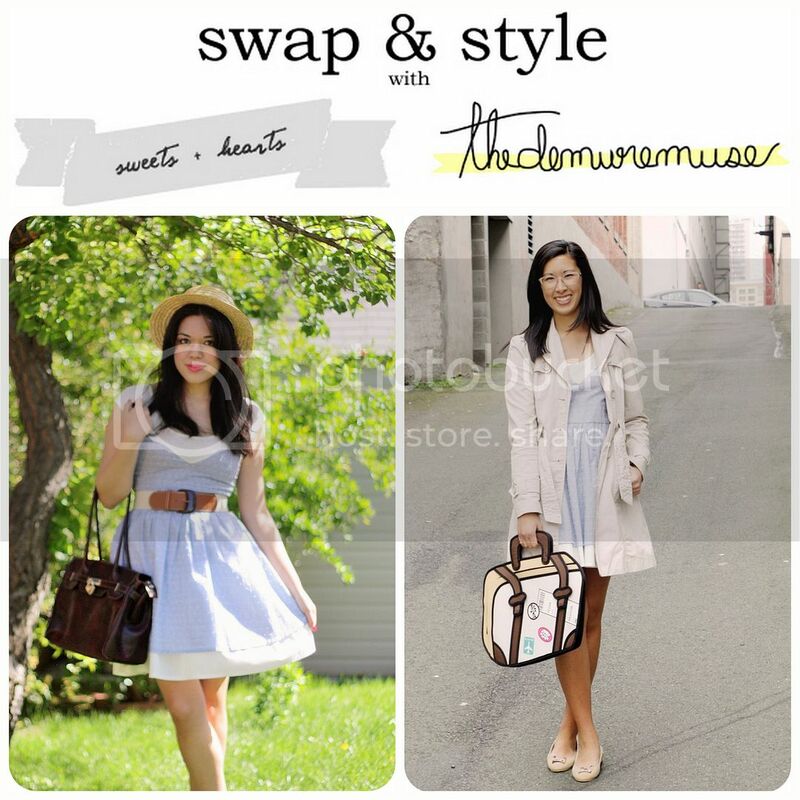 You can see more of our Swap & Style posts here.